At issue are songs that are written/owned by more than one person, which are the vast majority of songs. Any given songwriter can choose which PRO he or she wants to be affiliated with to administer the public performance rights in his or her songs. So, where a song is co-written, the respective writers can be, and often are, affiliated with different PROs. For example, where a song has three equal co-writers, one writer could be with ASCAP, another with BMI, and the other with SESAC—with each having a 33% “factional interest” in the song. Under the DOJ’s interpretation of the BMI consent decree, even though only one of the three songwriters is affiliated with BMI , BMI has to license 100% of the song. So to play that song, a licensee technically would only need a license from BMI. This is known as “full-work” or “100%” licensing. Full-work licensing, of course, makes things pretty easy for radio stations and other licensees to assure compliance because they don’t have to worry about the underlying interests in songs—as long as the song is co-written by a BMI writer (and therefore in BMI’s catalog), a licensee’s use of that song is covered by a BMI license regardless of who owns/administers the interests of the other co-writers. Under the district court’s view, this would mean that if a BMI songwriter and an ASCAP songwriter co-wrote a song and have agreed that each can grant rights to her respective fractional interest only, then BMI could only license the BMI songwriter’s fractional interest—not 100% of the song. On the other hand, if the BMI songwriter and ASCAP songwriter didn’t have such an agreement, then under basic copyright law, the BMI songwriter, and in turn BMI, could license 100% of the song. Under copyright law, absent an agreement otherwise, co-owners of a copyright can each non-exclusively license 100% of the rights to the copyright but are obligated to account to each other for the proceeds from such license (e.g., where there are two co-owners, the licensing party would have to pay 50% of the proceeds received from the license to the other party). The problem with the district court’s view for licensees is that licensees can’t just assume that because a song is in the BMI catalog, that a BMI license is all that is needed. Rather, for any particular song, licensees would have to determine who wrote the song, determine whether BMI represents all of the writers for that song (which depends on whether the co-writers have an administration agreement, and the terms thereof), and if BMI doesn’t represent all of the writers, then the licensee would have to get licenses covering the other co-writers. Traditionally, this is not a problem as a practical matter. 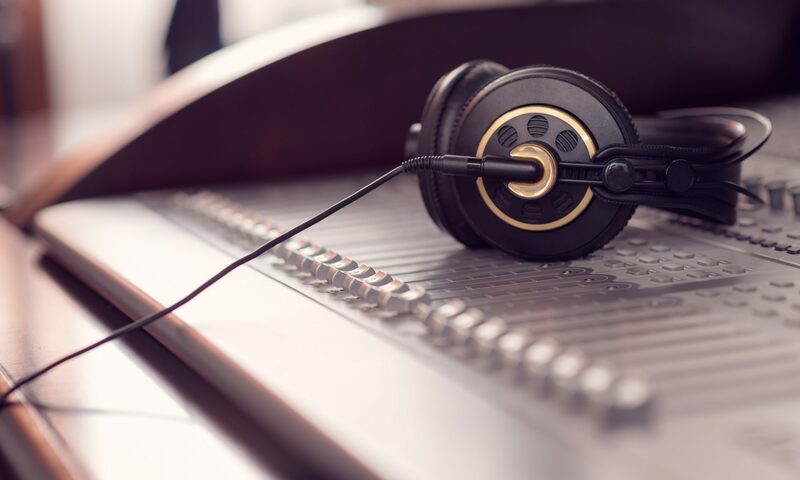 Licensees generally have always obtained licenses from all three of the major PROs—ASCAP, BMI, and SESAC. These three PROs have collectively represented nearly all of the writers of music performed in the United States for years. So regardless of whether any particular song has co-writers with different PRO affiliations, having licenses with all three PROs effectively meant that each song is 100% licensed. Radio and television stations generally can’t pick-and-choose what music is played on their stations, in particular music contained in network, syndicated, and commercial programming. And many songs are controlled entirely by just one of the three PROs (e.g., when there is only one songwriter, or where co-writers are affiliated with the same PRO). Therefore, licensees have always needed licenses from all three major PROs. This is manageable when you are dealing with only 3 organizations. However with GMR now in the picture, and with the potential of publishers withdrawing performance rights from the PROs entirely, the licensing of performing rights is starting to become much more fractured. This could mean that ASCAP, BMI, and SESAC may no longer be collectively a “one stop shop” for music licensees. Under fractional licensing, licensees would have to make sure that all fractional interests are covered—in addition to ASCAP, BMI, and SESAC licenses, licensees may need licenses from Global Music Rights and publishers that elect to withdraw rights from the PROs. Indeed, if fractional licensing is upheld, that could encourage such publisher withdrawals as well as the formation of additional PROs. The consent decree requires BMI to offer anyone, at a reasonable fee, “a license for the right of public performance of any, some or all of the compositions in [its] repertory,” which the consent decree defines as “those compositions, the right of public performance of which defendant has or hereafter shall have the right to license or sublicense.” . . . . In the government’s view, BMI’s repertory includes every song, and only those songs, for which BMI has the right to license or sublicense on a “fullwork” basis—meaning that it has the right to authorize a licensee to publicly perform the song without the need for additional licenses. And if BMI has the right to grant a full-work license for a song, the decree requires it to offer a full-work license for that song. BMI’s brief in opposition to the full-work licensing interpretation is due the third week of June.